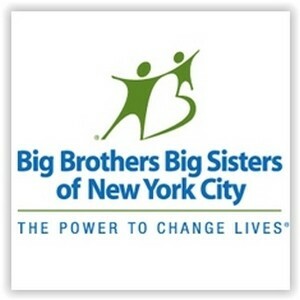 Big Brothers Big Sisters of New York City has succeeded for more than 100 years by supporting the city’s neediest youth and helping to unite the city. Our vision is that all children achieve success in life. Our mission is to provide children facing adversity in New York City with strong and enduring, professionally supported 1-to-1 mentoring relationships with adults that change their lives for the better, forever. We partner with families, volunteers, organizations and the community to inspire positive change in all. BBBS of NYC offers unique programs, tailored to fit the needs of a diverse pool of youth, including teenage mothers, children with developmental disabilities, or New Americans, as well as a diverse pool of volunteers, including corporate employees and seniors. In addition, the Center for Training enables BBBS of NYC to function as a mentor to other city non-profit agencies, propagating our experience, research and best practices in youth mentoring to others. Traditional Mentoring Program The foundation of our agency, this program serves the general population ages 7-18, in need of adult mentors. The Bronx, Queens and Brooklyn Borough Mentoring Programs Satellite Offices were established to meet the needs of families and children unable to travel outside of their neighborhoods for services, and to actively recruit volunteers within these neighborhoods. Matches may spend time in any borough and are not required to remain in the Bronx, Queens and Brooklyn. Juvenile Justice Mentoring Program Supportive mentors help motivate at-risk and court-involved youth to make positive changes and stay out of trouble. New American Mentoring Program mentors help immigrant youth assimilate and adjust to a new culture, language and customs. Building Futures Mentoring Program supporting youth involved in the foster care system and those transitioning out of foster care so they can strive for positive futures. Children of Promise Mentoring Program serves youth who have an incarcerated parent, sibling or other household family member. Education Initiative helps Littles establish and achieve educational goals.